With summer quickly approaching, poker players have been anxiously awaiting the reveal of the 2016 World Series of Poker schedule. The WSOP has now released the final schedule, with changes to major events of the series. Ty Stewart, the Executive Director of the WSOP, stated that it is hard to fathom how the series has grown and with the schedule for 2016, the WSOP is confident that the series will be another record-breaker. The 2016 WSOP will feature 69 events in total, including the Colossus II, Millionaire Maker, Little One for One Drop, Monster Stack and of course, the Main Event. After the first run of the Colossus, changes were made by Jack Effel, the WSOP Tournament Directory, for the second edition. This year, the prize pool will guaranteed at $7 million, which is higher than the $5 million offered last year. First place is guaranteed at least $1 million. The event will have six starting flights which is two more than last year. Structure changes have also been placed on the Main Event. Players will begin with 50,000 chips with blinds set to start at 75/150, reaching antes by level 3 of game play. Payouts were altered to pay the top 1,000 or the top 15% of the field based on which one is larger. The series will have an online event, which saw just over 900 players competing last year, with a buy-in of $1,000. This time around, the event will have re-entry offered. New events have also been placed on the schedule including the Top Up Turbo No Limit Hold’em event which has a buy-in of $1,000. Players will be able to earn additional chips on top of the starting stack with this event by qualifying online at the WSOP website or single table satellites offered at the Rio. The series will kick off with Event #1 on June 1st with the $565 Casino Employees No Limit Hold’em event. Prior to Event #1, the series will begin offering satellites and Daily Deepstack events. 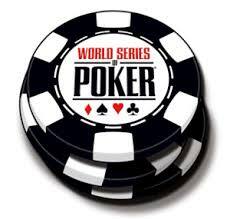 The full schedule can be found here, at the WSOP website.